Cybersecurity firm McAfee today announced that it's acquiring Skyhigh Networks for an undisclosed amount. Skyhigh Networks CEO Rajiv Gupta will join McAfee CEO Chris Young's leadership team to run McAfee's new cloud business unit. Skyhigh's existing organizational structure will remain generally intact, ensuring continuity for customers and partners. At the same time, Skyhigh will benefit from McAfee's global scale and integrations to McAfee's broad and deep product portfolio to even better protect customers. "Skyhigh Networks had the foresight five years ago to realize that cybersecurity for cloud environments could not be an impediment to, or afterthought of, cloud adoption," Young stated. "They pioneered an entirely new product category called cloud access security broker (CASB) that analysts describe as one of the fastest growing areas of information security investments of the last five years - where Skyhigh continues to innovate and lead. Skyhigh's leadership in cloud security, combined with McAfee's security portfolio strength, will set the company apart in helping organizations operate freely and securely to reach their full potential." "Becoming part of McAfee is the ideal next step in realizing Skyhigh Networks' vision of not simply making the cloud secure, but making it the most secure environment for business," Gupta said. "McAfee will provide global scale to further accelerate Skyhigh's growth, with the combined company providing leading technologies and solutions across cloud and endpoint security - categories Skyhigh and McAfee respectively helped create, and the two architectural control points for enterprise security." Combining Skyhigh and McAfee will allow the combined company to offer customers the most advanced cybersecurity architecture required for the future, spanning endpoint and cloud control points, linked by the security operations center with actionable threat intelligence, analytics, and orchestration, and enabled by an open ecosystem. 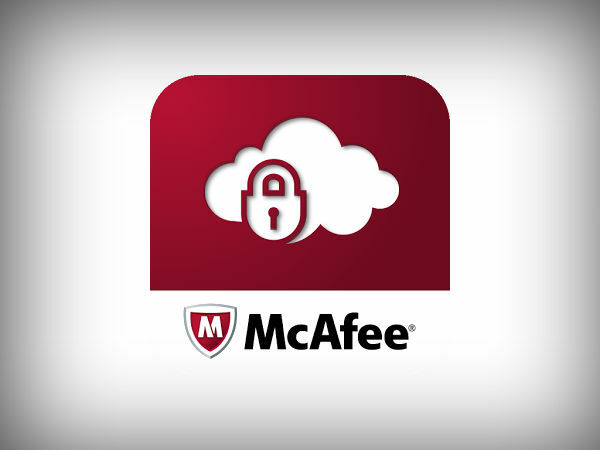 With this acquisition, McAfee demonstrates its continued investment in technologies that address customers' most critical cybersecurity needs and Skyhigh CEO Rajiv Gupta will join McAfee CEO Chris Young's leadership team to run McAfee's cloud business unit.